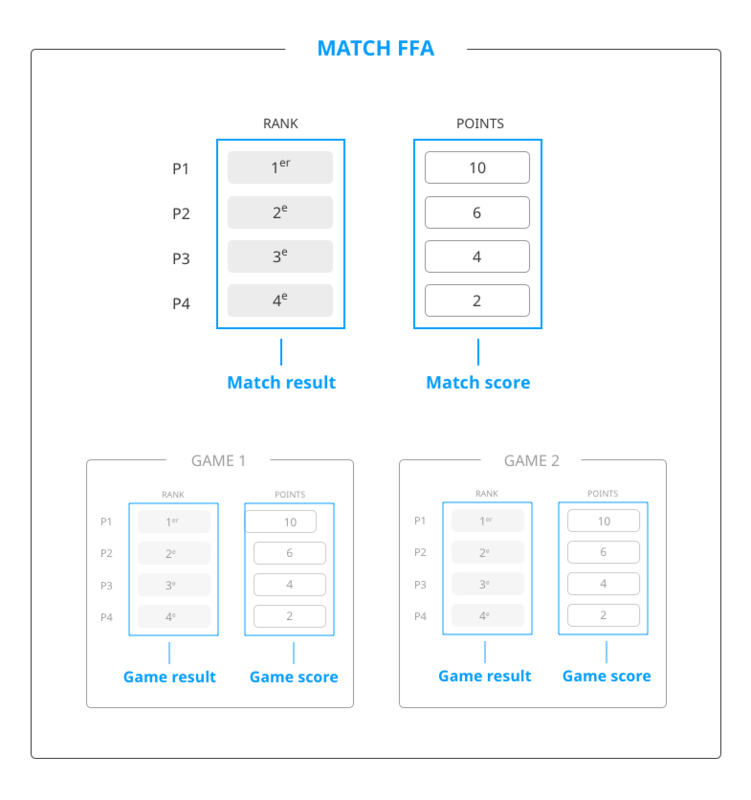 Match Result: the outcome of a match, either "Win"/"Draw"/Loss" in a Duel match, or the rank in a FFA match. A participant may also be "Forfeit", which supercedes all other results. Match Score: the points attributed to participants in a match. Game Result: the outcome of a game, either "Win"/"Draw"/"Loss" in a Duel game, or the rank in a FFA game. A participant may also be "Forfeit", which supercedes all other results. Game Score: the points attributed to participants in a game.